Alter The Press! 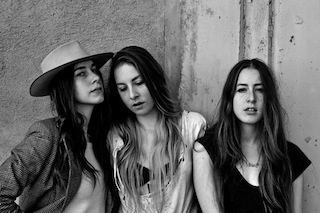 : Haim Cover Beyoncé's "XO"
Haim performed a cover of Beyoncé's "XO," as part of their recent BBC Radio One Live Lounge Session. You can watch a video of the trio's rendition of the track below.